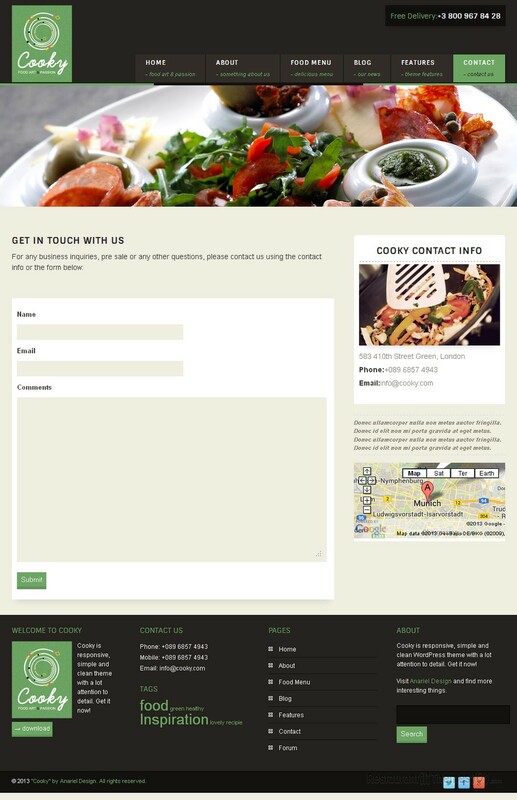 Cooky is a responsive restaurant WordPress theme created by Anariel Design and featured at ThemeForest. 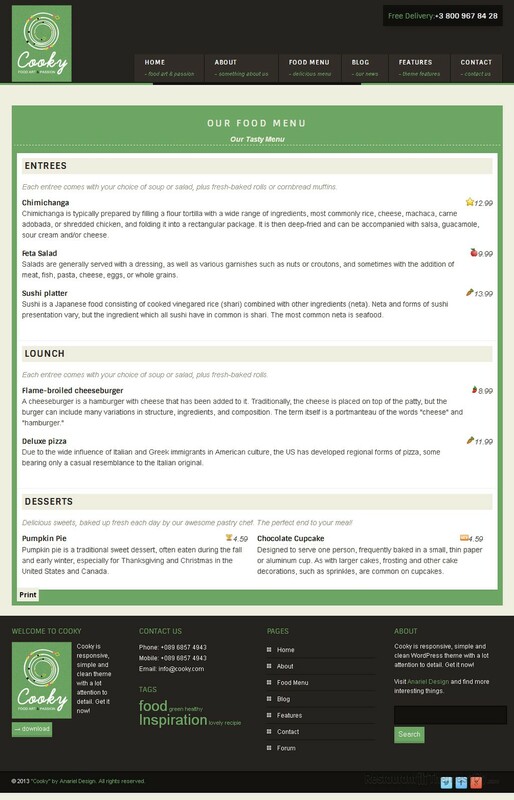 The theme is very adjustable and it can be used for various restaurant niches. This is a professional theme in terms of looks and functionality. It contains many handy add-ons that make the theme very interesting and very easy to use, it even features a bbPress forum! 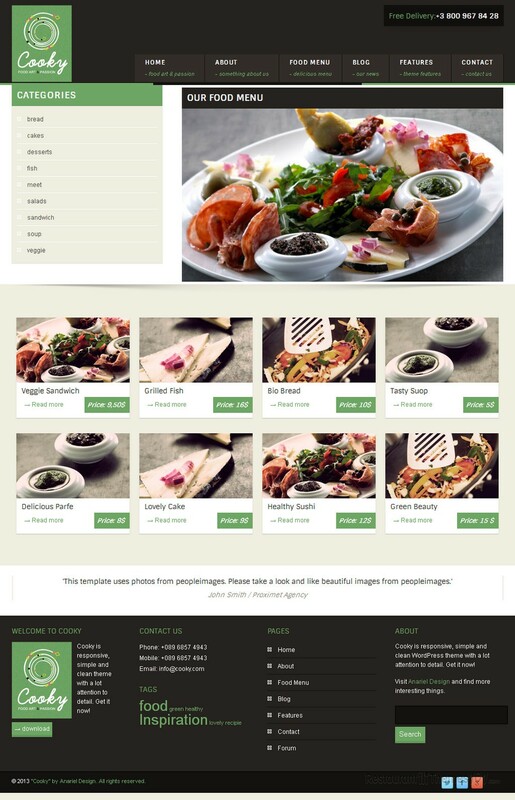 Cooky was specially built for restaurant websites, and it is very adjustable too, so you can use it as a responsive WordPress coffeeshop theme, or any other food related business. The options panel of this theme is very easy to manage, and it allows a high level of customization. You will be able to change many text and background options and each of these uses a color picker so you can basically set your own color of choice for any element of the website. 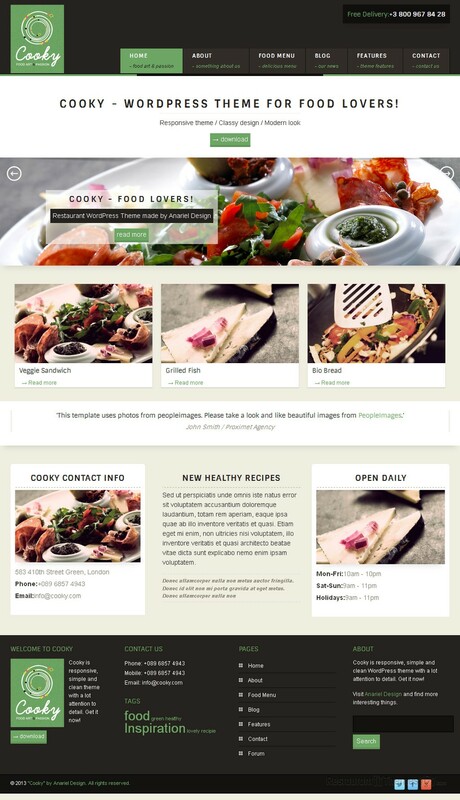 The theme comes with two diverse built in custom post types: food menu and our team. Each of them is created to carry its own look and feel and you will be able to manage your content separately with ease. The food menu has custom meta boxes such as price meta boxes and many more. There are 6 different homepage templates layouts available which will make it very easy for you to create your own homepage to your liking. Cooky is fully responsive which means your layout will look perfect no matter what device it is seen from. The homepage itself features a wide slider especially put there to point the attention of your visitors to the set of photos of your choice. Attract them with delicious meal photos or nice photos of your pleasant ambient. The theme features WordPress Theme Customizer which makes it possible for admins to easily tweak any theme settings and get a live preview of the changes. Cooky features Google Maps for everyone to easily find the directions to your restaurant, and a simple, efficient contact form so your visitors can interact with you quickly and easily. 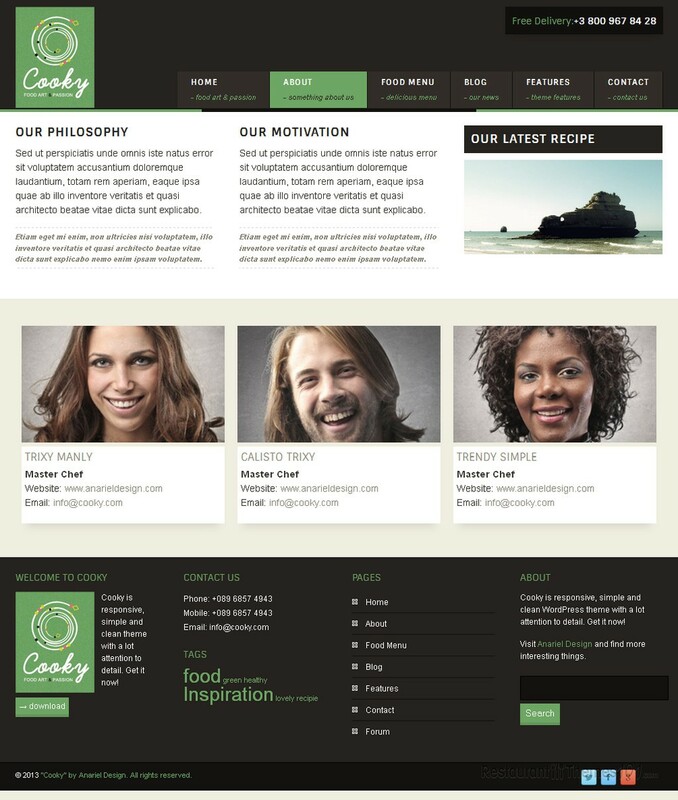 Cooky is also available as a HTML template.